You are here: Home / Abundance / Be Relentless, Follow Up, Learn to Write – An Art Biz Case Study with Natasha Kohli. Be Relentless, Follow Up, Learn to Write – An Art Biz Case Study with Natasha Kohli. With each of my art business coaching clients, I try to do an exit interview a few months in to see how things are going. I wanted to give you some insights into the coaching process by sharing part of a recent session I did with the artist Natasha Kohli, who lives in Chicago. It starts with Natasha talking about how she ended up appearing on Windy City Live, talking about a piece that was commissioned by the City of Chicago. Natasha was having hard time expressing why people should be interested in her work. This is a very common problem, and we initially tackled it by practicing writing blog posts about her work – not for the purpose of publishing them, but for the writing practice. Natasha noticed that the writing practice not only made her better at talking about her work, but it also influenced her art making. She was more self-aware in her artistic choices. “That’s what connects people to the artwork,” said Natasha. 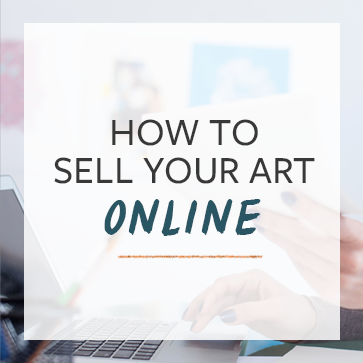 Something I see artists struggle with is that good art doesn’t sell itself. The story is what sells it. One of the more successful places Natasha ended up show her art is Matthew Rachman gallery. In her story about how she ended up showing there, she mentioned that being comfortable with her own story and the story of her individual pieces of work enabled her to have conversations with gallery owners and curators that got her in the door. Natasha is also showing her work at the Leo Burnett building. Natasha honed her ability to talk about and pitch her work by doing open studio events with groups of 20 – 50 people. At one of these events, a couple approached her about showing her art in a lobby. Natasha did her usual spiel with them and 5 months later she was showing in the Leo Burnett building. Natasha’s average size canvases go for about $5000 each right now. In addition to getting better at telling her story, Natasha has been working on her pitching and follow up skills. She has made a consistent effort to reach out to art consultants and journalists in the Chicago area. She has discovered that it’s a long-term process. Especially with journalists, they need to be aware of the artist and then remember them when a potential story comes up. One of Natasha’s big takeaways from coaching was having someone to talk to who understands the art world, who understands how to sell, and the rigors of the business. She even called our coaching time “priceless” (I didn’t even ask her to say that). If you are interested in art business coaching, you can get more information here. We currently have a couple of openings for new coaching clients in December. Whenever I mention this, we usually fill those slots up pretty quick, so if you’re interested act now. I’m a painter living in Evanston,IL.I’ve Participated in a wide variety of events; pop up galleries,festivals,raves, Sci-Fi conventions in Chicago,IL. My work is abstract,pop surrealism,fantastic art. Talking about my work can be a challenge,considering my diverse audience,and my choice of art styles. It works well on canvas,but blogging/talking about it is quite the task. The art coaching video was most enlightening,and inspiring. Think I’ll try my hand at writing/blogging. This is really a great piece. Sometimes I struggle describing my art and process When I have actually written it out I have more time to focus on what the pieces mean to me. I do struggle with getting out of my comfort zone but this will help me have an easier time preparing myself for those moments! Loved hearing from the artist and learning of her success!